The UK government's failed counter-extremism strategy has wrongly targeted thousands of innocent people, including hundreds of children. If the Government truly wants to fight extremism, it must listen to the victims of its failures, argues Moazzam Begg. Last month, my colleagues at CAGE published a damning report on the classified research that the UK government is using to identify potential extremists. Incredibly, as the report reveals, the government’s programme, called the Extremism Risk Guidance 22+ (ERG22+), was based on nothing more than research conducted by two psychologists working for the National Offenders Management Service (NOMS) and collated based on interviews with a handful of British Muslim convicts. From this study, 22 “risk-assessment factors” were extracted that would go on to form the template for how the UK government would now seek to define the undefinable ‘extremists’ residing in our midst. 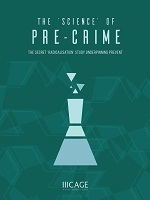 CAGE’s report, The Science of Pre-Crime, argues that it is reckless for the government to adopt secretive, untested, unscientific and unproven findings – which are based on inconclusive research involving a small number of prisoners in restrictive and unusual environments, and intended only for a specific audience – into official guidelines, disseminated to two million public sector workers, for spotting so-called ‘extremists’. Indeed, when even the ERG22+ authors themselves admit they are uncertain of their study’s “validity and reliability”, it is beguiling that this framework for assessment has already entered the UK legal system. In dozens of cases, these risk assessments have resulted in the removal of young children from their parental home to be made wards of court. This is dangerous, destructive and unacceptable. Since it became law, over 4,000 people have been referred to the Channel branch of Prevent last year for “deradicalisation”. This included hundreds of children, many of them from primary schools. As it happens, the university Murray refers to is, in fact, one of Britain’s top-ten institutions, while an academic he singles out for criticism is a Professor who lectures there. Moreover, the signatories of the open letter are a diverse group that comprise 45 internationally-renowned experts, including ex-CIA operative and counter terrorism expert Marc Sageman, Noam Chomsky, Karen Armstrong, Tariq Ramadan and Yasir Qadhi. Additionally, the signatories include more than 77 PhD-holders and lecturers. Evidently, Murray seems to think academics who dissent from official government orthodoxy are not real academics. This is unsurprising from someone who seems to believe British Muslims are not real citizens, who has stated, in an infamous speech to the Dutch Parliament a few years ago, that “Conditions for Muslims in Europe must be made harder across the board”. This is someone, let us not forget, who has written that “white British people” are “losing their country”; that Britain that “has become a foreign country” where “white Britons’ are now in a minority,” and who has bemoaned the fact that “there aren’t enough white people around” to make the UK’s boroughs “diverse”. Far from being opponents of extremism, it is precisely people such as Murray and his acolytes who have stoked divisions and tensions in British society. Murray’s was certainly not the first attack on CAGE’s ongoing efforts to scrutinise and shed light on the government’s “counter-extremism” strategy. Earlier this year, in a hysterical diatribe, a right-wing tabloid claimed CAGE was recruiting an “army” of teachers, students and doctors to take on the government’s anti-extremism law. Some may fear the medical profession and educators, but most of us don’t. When it comes to the counter-extremism Prevent strategy, the government seems to be getting itself into a perpetual mess. Having gone through various incarnations under both Labour and coalition governments, the Prevent strategy has seen, under David Cameron’s Conservative government, the introduction of a statutory ‘Prevent Duty’ on all teachers, lecturers, health care professionals and prison officers to report potential extremists to the authorities. As a result, the Prevent programme is today more toxic, unpopular and distrusted than it’s ever been. For instance, the Parliamentary Human Rights Committee on Counter Extremism severely criticised Prevent earlier this year, while others, including senior shadow ministers, teachers and student unions as well as numerous civil society organisations have all called for it to be scrapped. Even the UN’s Special Rapporteur warned that Prevent could actually “end up promoting extremism”. Despite the repeated concerns voiced by senior police officers about Britain becoming a “police state”, and former public prosecutors warning about the “chilling effect” on free speech and political dissent; and former government advisers on counter-extremism who now call Prevent a “poisoned chalice”, ‘Preventwallas’ continue to argue that something must be done. Personally, I believe that there is much to be said for asking the victims and survivors of governmental excesses and abuses – all carried out in the public’s name – about the best way to address this most critical of issues. You must take full responsibility for the major causes of destabilisation in regions Britain has invaded. Stop any further bombing, droning or military incursions. Oppose the actions of allied nations that conduct or participate in the above. Have a foreign policy based on morality and ethics, not only interests. Place legal controls on the hatred stoked against minorities by the tabloid press. Open meaningful channels of negotiations with enemies and stop creating new ones. Challenge politicians who conflate, equate or define an entire group by the actions of a minority of individuals within it. Ensure that school curricula include the contribution to literature, history, culture, science and the arts by minorities, particularly – in the present context – Islam’s civilisational contributions. 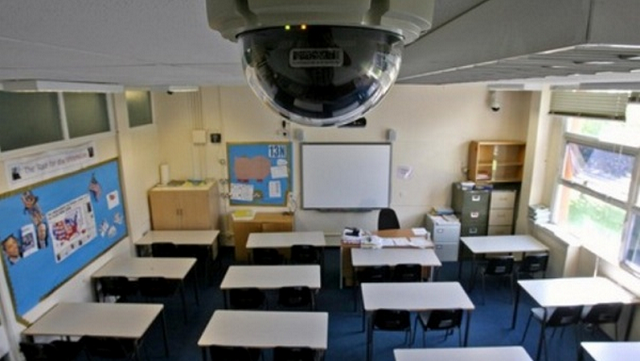 Stop treating students like suspects and educators as informants. Help make potentially radicalised youth feel like they belong in their own country. Introduce policies and programmes to prevent “white flight” from predominantly Muslim/ethnic minority areas and encourage the reverse through community-based programmes. If the government really wants to bring about an end to the causes of negative radicalisation, it must listen to the voices of reason from amongst the dissenters, including those in academia. Basing official policy on scientifically-dubious research, like ERG22+, is a fail in every class. Moazzam Begg is an author and campaigner. He is the Outreach Director director of CAGE, a human rights organisation aimed at raising awareness of the plight of the prisoners at Guantanamo Bay and other detainees held as part of the War on Terror. The Prevent hoax is like fake WMD hoax, of course they know its not real because the dodgy dossier they compiled serves the cut and dried agenda. They the Ziocons themselves commissioned the outcome they wanted, being in reality a figleaf for their ‘democracy in action’ with which to beat the public into fear and loathing of Muslims. This is no different to Bosnia, except here it is sneaky and uses pawn murderers like BF, EDL, the Sun, BBC etc to do the ground fighting. They are not interested in the inconvenient truth, that it is blowback to unfair colonialist brutal foreign policy that is the real cause. Cage is fighting for the truth, well done and keep it up ! I agree with everything that ahmed says. It’s all about brainwashing the public against the Muslims and at the same divert attention towards their own failings in government. Very much like what Hitler and the Nazi party more than 80 years. Our faith should not budge for a second no matters what these people say. Allaah, the Most High, the Most Merciful is our sole Saviour in this life and in the Hereafter.